Recently, I’ve been posting BEFORE + AFTER photos of a California Cottage that I just completed in Reseda, CA. Today, I’m sharing the transformation of the backyard. It took almost a week to clear the overgrown brush, two dumpster trucks to remove it and almost another week to dismantle the chain linked fence with the 40 + year-old ivy intertwined between it. It was a debate whether or not to keep the pool, but with temperatures reaching 100 + degrees here in the San Fernando Valley, we decided it would be a worthwhile bonus. I decided to keep the design very simple. The pool would be the main feature, then I added a bocce court and low-maintenance plants. I added ‘Blue Gem’ Westringia around the bocce court with boxwood and iceberg roses at the back steps and around the pool equipment. When matured, they will disguise the equipment nicely. As with the front yard, we removed all the old concrete, which took up most of the backyard and replaced it with sod and blue flagstone. ‘Blue Gem’ Westringia line the bocce court. We’ve wrapped up the North Hills Project here in Los Angeles and I’m excited to finally share with you the home’s exterior photos. The short story behind this transformation is that my client wanted this house renovated in order for it to successfully go on the market. For this house, there were many things I wanted to address on the exterior, but my main focus was the entrance. I wanted the front door to become more prominent, instead of feeling hidden & withdrawn. Not every home can take a dark paint color; however, when I drove up to this house I knew that it lacked curb appeal and needed something to help make it stand out. I realized it was going to take a lot of detail to make the dark paint translate beautifully. Tomorrow, I’ll be sharing some super easy Holiday decorating ideas that I use throughout my own home. For the last two years I’ve been lucky enough to work with a landlord on fixer uppers. He purchases distressed homes, rehabs them and adds them to his rental portfolio. My job is to create a design plan that updates each property by selecting low costs materials that look great and will work in a competitive rental market. Above, the sign that hangs over the garage, “La Casita” is a ranch style cottage that sits near the original Jane Russell ranch, “La Posada”, in North Hollywood. The house already had some great character with its shiplap paneling, ranch style doors and vintage hardware. However, when we got our hands on it, it had fallen into true disrepair, as you can see in the photo above. It had dark wallpaper, layers of nicotine on the walls and was your basic “fixer upper”. The kitchen was very tiny and felt even smaller with the dark wallpaper and minimal lighting. By opening up the “L” shaped countertop (in foreground) and relocating the oven area (on the right), we were able to make the space feel a lot bigger without gutting the entire kitchen. 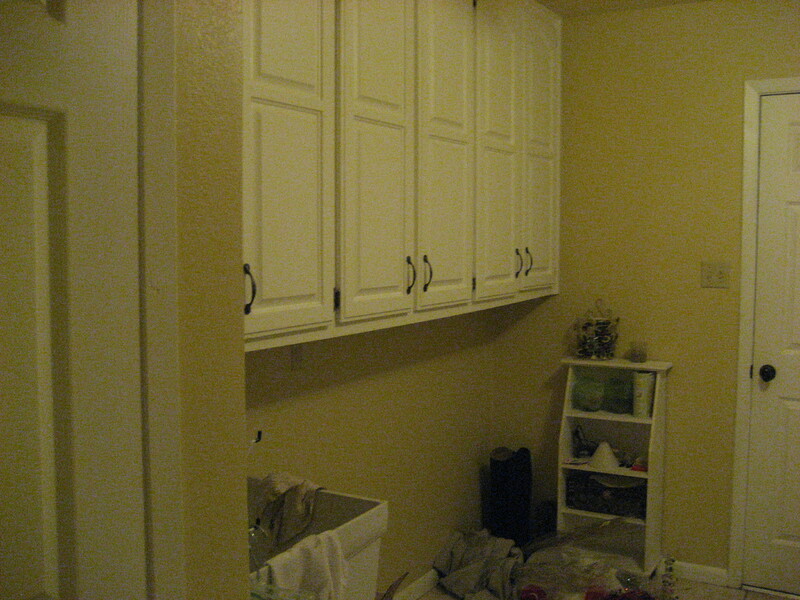 Next, we removed the dark wallpaper, added some lighting and painted the cabinets, walls and ceiling. We removed the old linoleum flooring in the kitchen and installed new hardwood flooring to match the rest of the home. We also saved all the kitchen hardware and painted it black to go with the other black accents in the home. 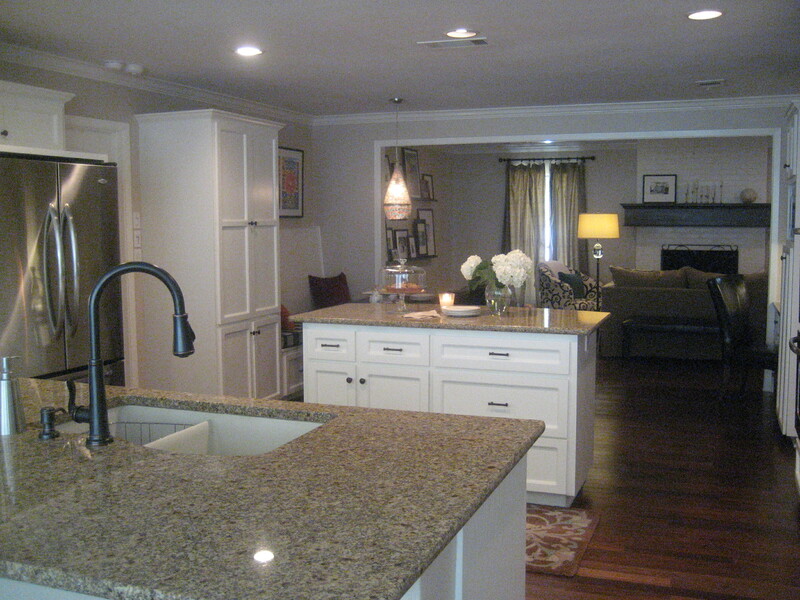 As you can see in the picture above, paint played a huge factor in transforming this space. Also, the kitchen wasn’t big enough for an actual island so we relocated the “L” shaped counter to the side, to act much like an island would — a place for people to hang around as food gets prepared, etc. With this bathroom, we kept the cast iron tub and just added all new subway tile. 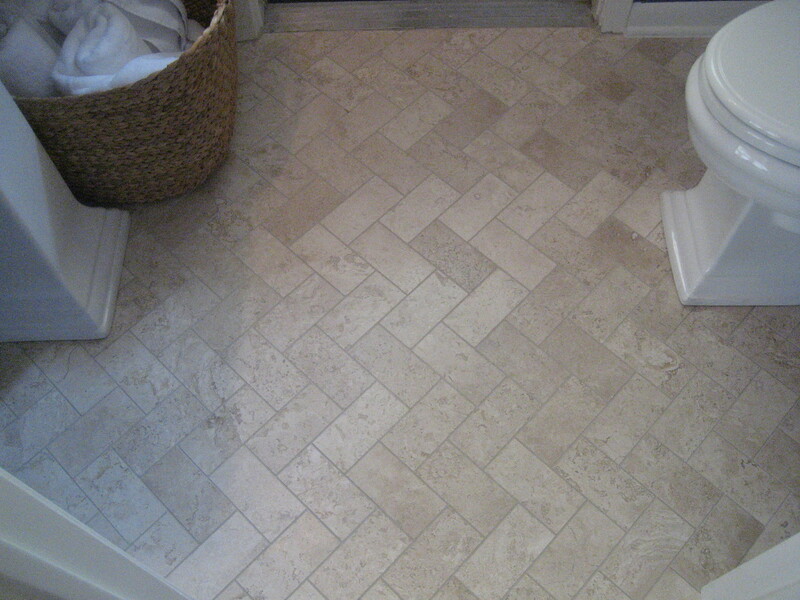 For flooring, I went with a ceramic tile from Lowe’s — it’s clean, classic and inexpensive. Since the vanity base was in great condition we kept it and painted it Hale Navy (by Benjamin Moore) to go with our marble countertop. Initially I really wanted to go with a Calcutta marble slab in here but the slab would have cost $1,000.00. 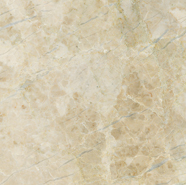 To stay within our budget, I decided to go with 12×12 Carrera marble tiles which costs just $80 (plus labor). 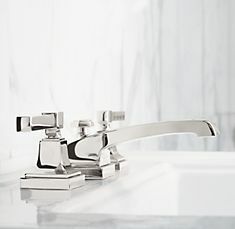 We then added a new Kohler sink, faucet fixture, and toilet (always nice to replace those) — all from Lowe’s. At some point the original brick patio was converted to a bonus room (above). This room has tons of potential with all its natural light, views of the garden and access to the patio. I really loved the brick floors and instead of covering them with a tile, I decided to keep the brick and just give it a good cleaning. I only used two paint colors throughout the entire cottage, Paper White and Ice Mist both from Benjamin Moore. This way, with only a 1,200 square foot cottage the space feels much larger and it gives the home an overall cohesive look. When rehabbing a house on a tight budget remember your biggest weapons are going to be paint and lighting. To keep costs down I pull tons of materials from hardware stores like Home Depot and Lowe’s. 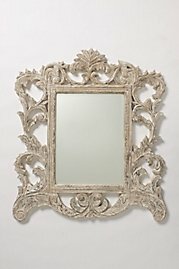 Another way to add charm is to visit your local salvage yard or flea market for some really good deals on unique items that will give your home that added character and charm. 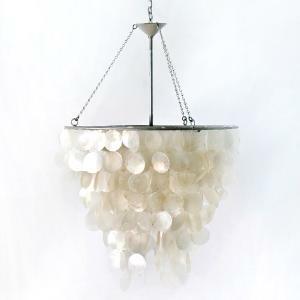 You can also visit my Pinterest board to see my favorite lighting choices from both The Home Depot & Lowe’s, as well as more ideas on decor and design. Whenever I do a project I always have a vision/direction for what I want the project to look like in the end. For this sweet cottage, my inspiration came from Ellen Degeneres’s ranch just north of Los Angeles (photo above). In the end, this North Hollywood ranch was awesome to do — I really enjoyed bringing the charm and life back into this little piece of history. Once the exterior of the home is finished, I’ll post some before and after shots as well. Happy Tuesday! 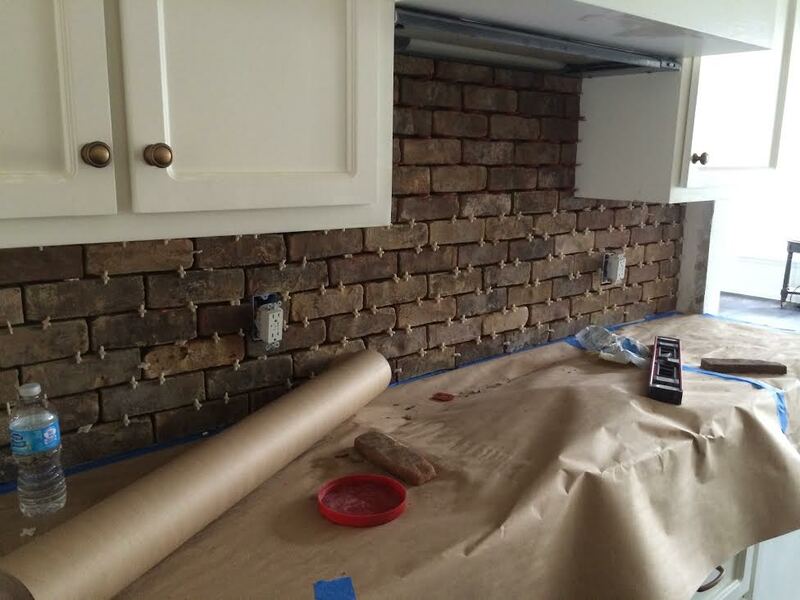 You know the saying, “Out of something terrible can come something wonderful.” This rang true for my clients in Austin when, after torrential rains hit a year ago, their home was completely flooded. 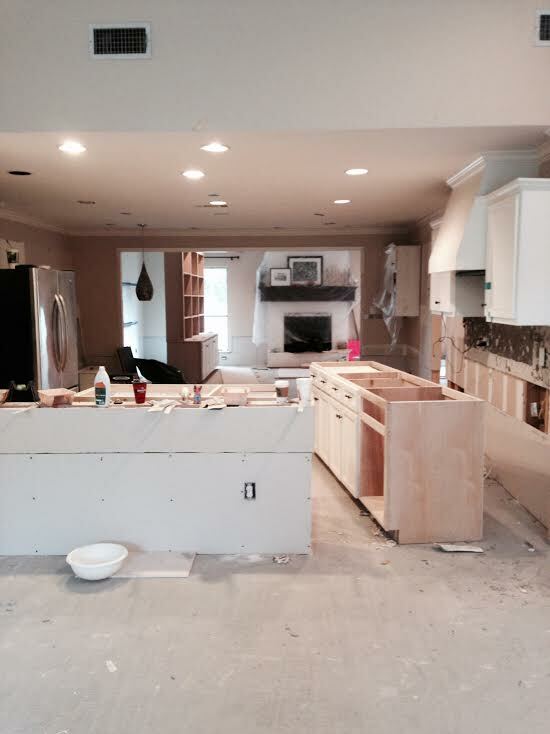 Everything that we had rehabbed three years prior was completely destroyed. So, when they asked me back to help fix what had been destroyed, I was more than happy to come up with a new design for this wonderful family. 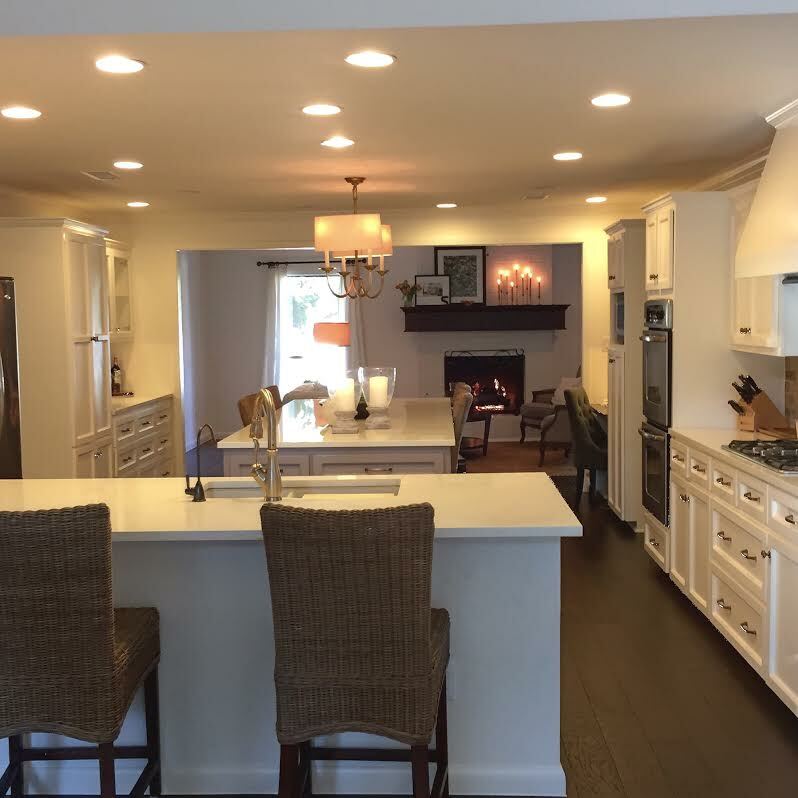 The overall interior color of the home was changed to a beautiful warm white. We went with darker floors, a new living room and a completely new kids’ bathroom — but I think I had the most fun in the kitchen. 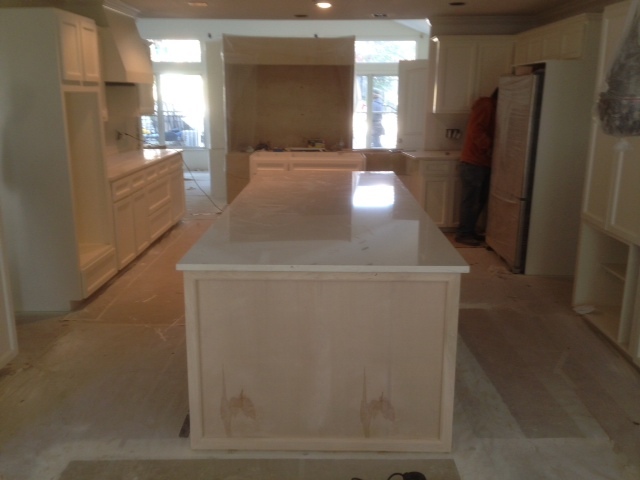 With the first rehab we needed to work with the existing granite countertops and the original island position. This time, since we had to gut the entire kitchen, we were able to work with a blank canvas. 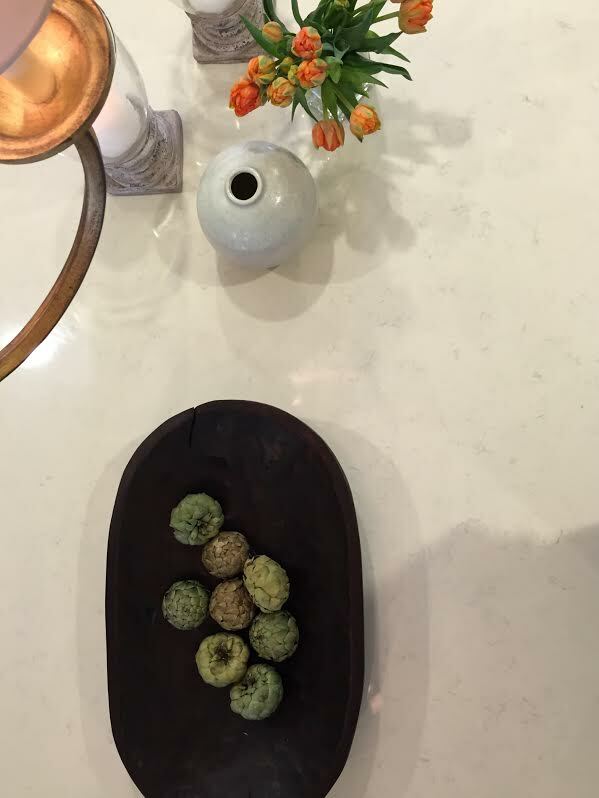 My color palette was simple — a mix of creamy whites, antique brass, rattan and brick. 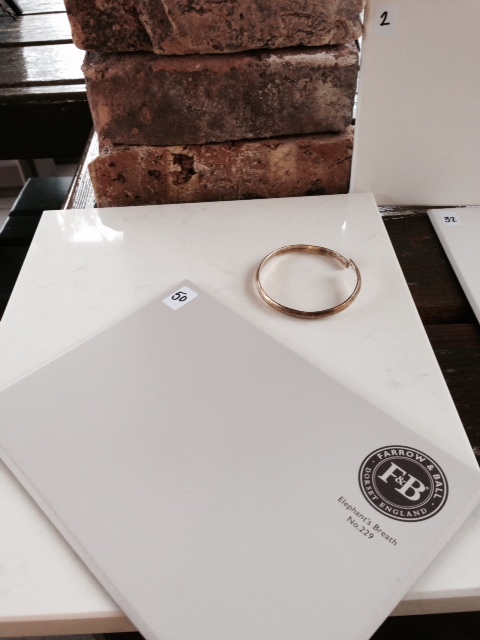 My inspiration behind this kitchen — brick for the backsplash, paint from Farrow & Ball for the island, a creamy piece of Silestone for the countertops, as well as my bracelet (a stand in for the future hardware). Above, another shot of the kitchen. 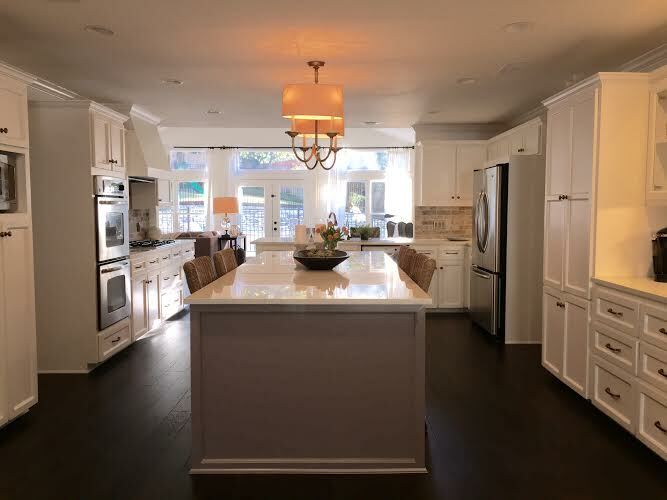 I was able to add a 10 foot island which has really become the heart of the kitchen. Food is prepared, meals are savored and homework is done. With a new drainage system installed, it looks like I won’t be back anytime soon but it was a pleasure while it lasted. 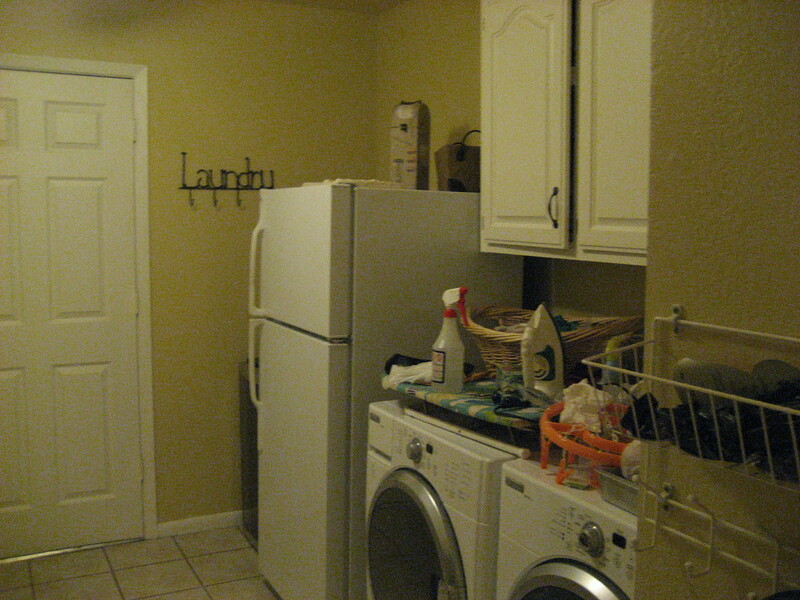 If you would like to view the initial post with before and afters, click here. 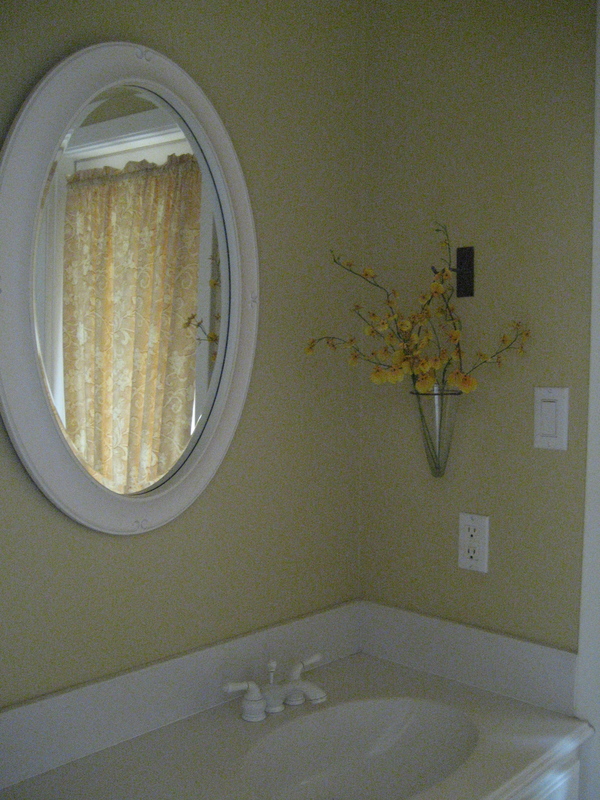 My last post on this little cottage is the master bath and the upstairs family room. Yikes! I know, a bit ugly, but it’s amazing what paint, new flooring, a walk in shower and other essentials can do! 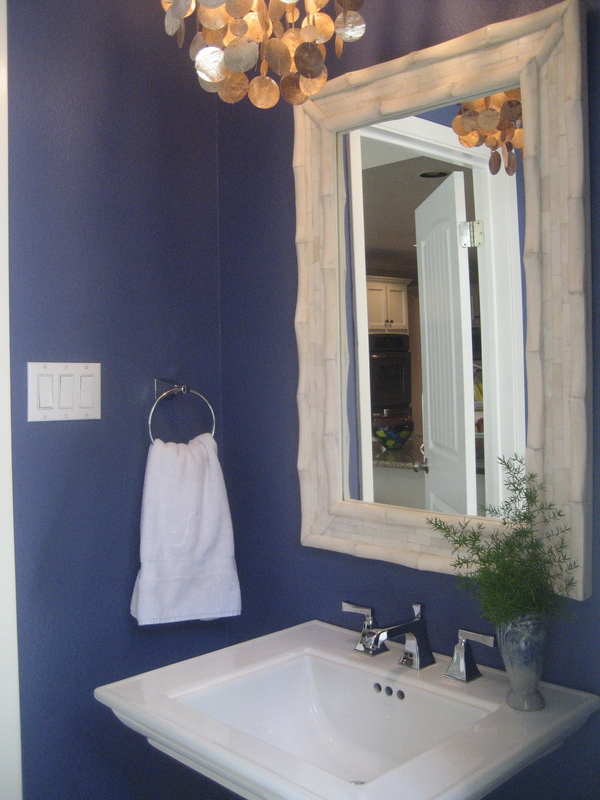 This was a very simple and low-cost bathroom makeover. I gutted it except for the vanity base which I had painted inside and out. 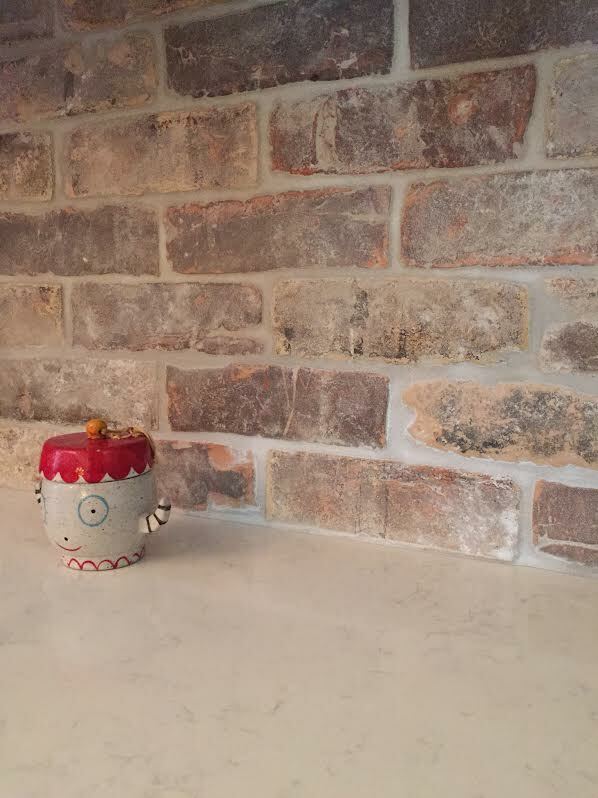 I used leftover marble tiles from my previous home for the countertop. When the new flooring was installed I opened up the shower completely and used subway tiles throughout. I also had my contractor change the lighting from overhead fixture to wall sconces (with dimmer). 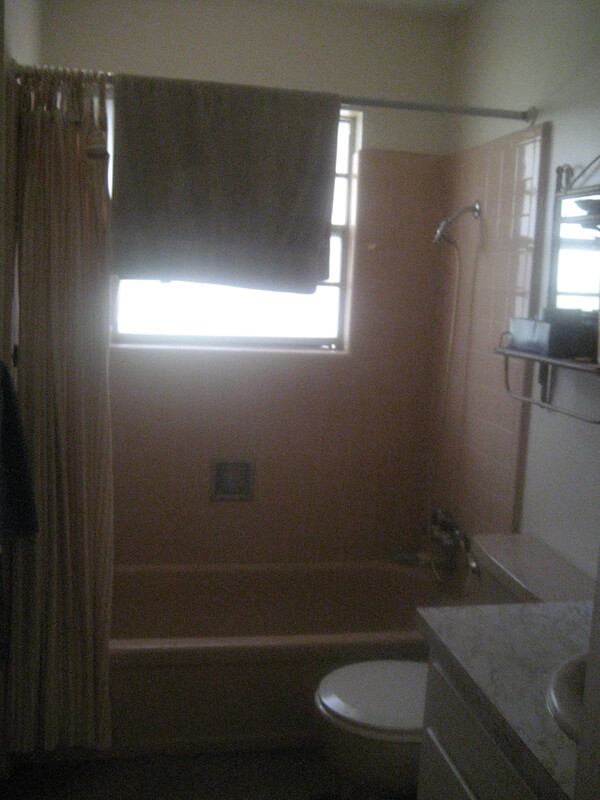 A new toilet, faucet fixture, towel rack and medicine cabinet finished it out. Sorry for the blurry picture but when the cottage was purchased the lighting was quite bad. This was a really fun project and I can’t believe I was only able to enjoy this home for 7 months! Now, besides a project still in the works in Austin, I am busy trying to work on my little home here in Los Angeles. I will hopefully post some pics soon! 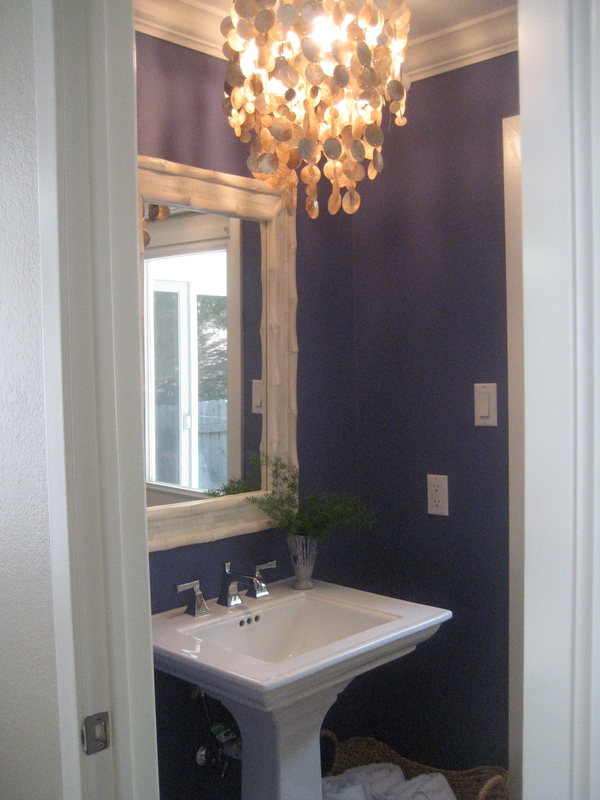 Below, are some pictures of a powder room I just finished, along with my inspiration behind this little project. A pedestal sink instead of a vanity to allow for more floor space. I also love the large flat surface on this pedestal sink to allow for a beautiful bar of soap or vase with fresh flowers. A large basket to store all the pool towels. 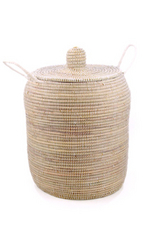 This one is from Swahili Imports. 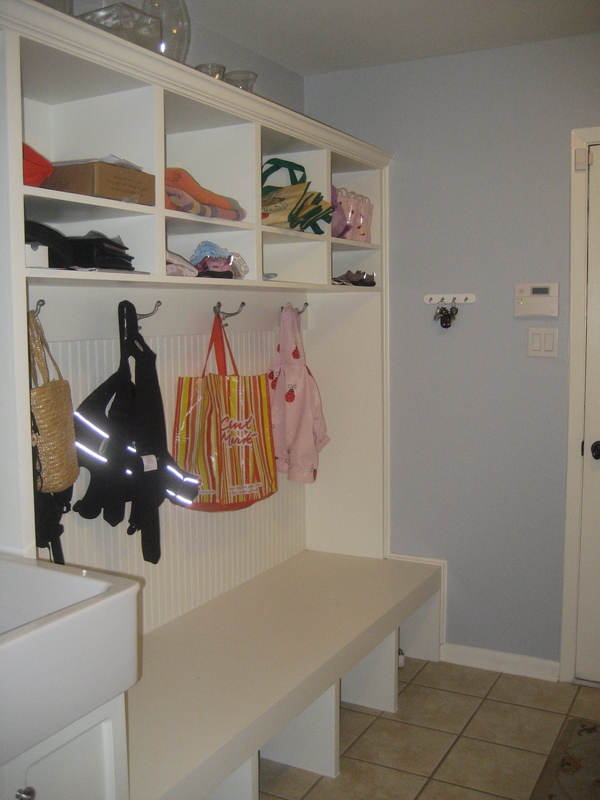 The last of my Austin project is the Mud Room. As I have mentioned before, it’s one of my favorite spaces to do because it’s such an important room in the home. 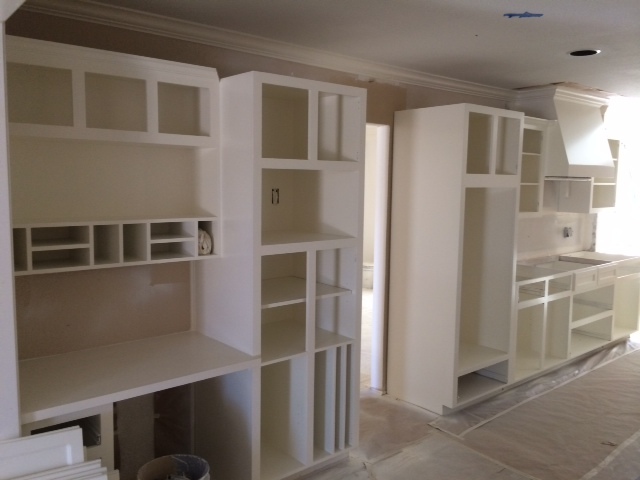 On the other wall, the original cabinets were in great condition, but the space could be used more efficiently. 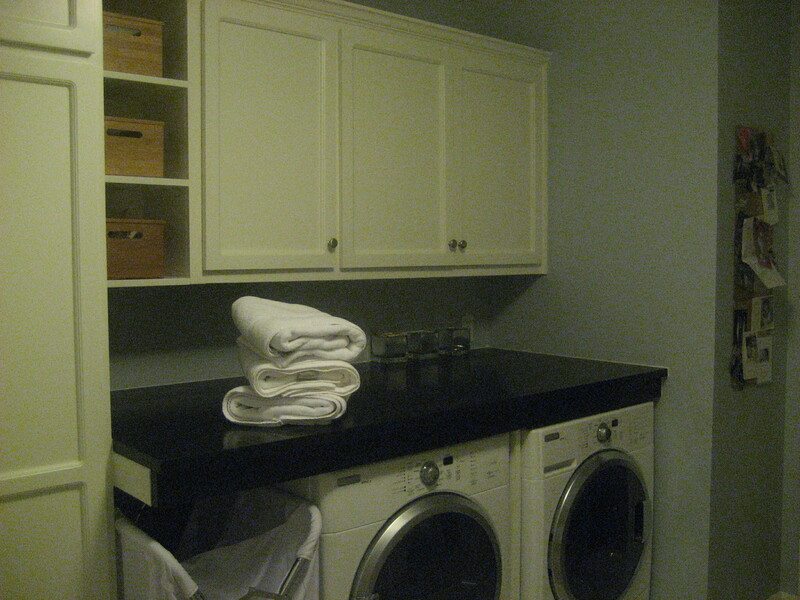 The idea became a wall of cubbies, a bench, as well as a farmhouse sink from Ikea. With all the built-ins, frame-outs and changes we did, the end result could not have been accomplished without the work of the Austin-based contractor, Rob Clinchard, he made all my chicken scratch come to life. Also, the owners were amazing and an absolute pleasure to work with. Thank you!